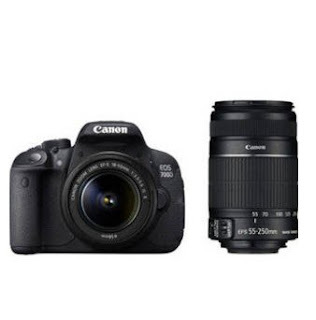 Lowest price ever for Canon EOS 700D camera with dual lens. Tatacliq is selling Canon EOS 700D (With EF S18-55 IS II + 55-250 mm IS II Lens) Rs. 32490.